Content marketing is huge, even as we make a shift into a more social media way of running things. The two really go hand in hand, and it is important to focus equally on both to ensure you are getting the most out of your marketing strategy, It is not just about reach, but about generating loyalty in those being attracted to your brand. I think that most brands understand this.Yet there is a shocking lack of understanding when it comes to visual content and what part it plays in all of this. How many times have you gone to a blog with endless posts, but only a single stock photo at the top of each one? Or seen a site that has linked to something that borrowed a photo from an unrelated link because the original had nothing to show in the thumbnail? This is always incredibly frustrating, because it shows they just don’t get it. Visual content is a crucial element to the overall marketability of all content. Without it, you are just shooting yourself in the foot then signing up for a 5K. To be effective, you need to give yourself every benefit possible, and visuals are a biggy. Let’s not talk in generics. Here are five very specific reasons you should be utilizing visual content for your content marketing strategy. It sounds so simple you might be rolling your eyes right now, but it is the truth. People like having something pretty for their gaze to land on, and a wall of text without anything visual to break it up is a quick way of turning them off. They are going to be skimming your page, so catch their attention and hold it. Visuals are an easy way of doing that, breaking up the monotony and making it more likely they will stick to your content until the end. One of my favorite examples of repackaging content in an exciting manner is the infographic. I have taken dozens of old posts that have lost their fire and updated them, but none have done so well as those I refitted into infographics. 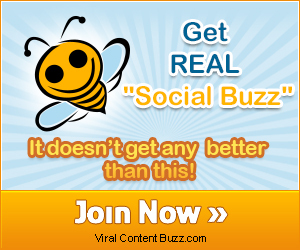 It is one of the easiest ways to generate something into viral, or near viral status. And that isn’t even the only route you can take. Content can be presented in a slideshow, in a comic, as a video, as a graph or chart. All of these give you an exciting angle that breaths new life into your content, is sure to keep their attention, and has the added benefit of being highly shareable on the social web. Why tell when you can show? Having a visual representation, whether it is a shot of a concept in action or a drawn diagram will provide context to what you are talking about. That is a much easier way of instructing or explaining, as people react better to what they can see in practice. Have you ever noticed that the most popular tutorials have a step by step process where everything is being shown? People feel more at ease when they have a visual representation they can follow, because it assures them that they are following what you’re saying. This goes for any kind of content. What is your best friend in search engine optimization? Metadata, and photos have a ton of it. This will not only boost your potential ranking on engines, but it pops you into the Images search area, adding to your chances of being seen. Just get descriptive in both the file name and the indexing info that is picked up by the engine itself. Then watch your views from those image searches going up. If you’re nervous about it, just disable hotlinking. This is a big reason to expand your visuals. Everything from your logo to the layout and colors of your site can help to enhance the recognizable qualities of your brand. Those style choices can be extended to provide logos on your infographics and comics, watermarks on your photos, opening screens on your videos, and of course visuals on your social media profiles like the Timeline cover on Facebook, or the avatar and background on Twitter. Influencer marketing: Here are some great ways to find influencers who are already following you on Twitter. My favorite one is Commun.it because it lets you find influencers who recently interacted with you, so you can pitch them your new creation right away. Fast response is guaranteed! Note: I am shy when it comes to asking for favors, so here’s my way: I maintain a group of active Twitter users who tend to pitch me something. These are the first people I’d ask for favors as we have developed those kind of relationships when we can freely ask each other almost anything! Spread the post that goes live on each blog! Control the links and credits that accompany your infographic. There are many sites that collect and re-publish infographics. The good thing about them is that their audience LOVE infographics, so there’s a good chance for it to spread. I have collected some of them here (Google spreadsheet). Feel free to use and let me know if it’s missing anything! My list of infographics distribution sites + All sorts of contact info to pitch them! Which tools and tricks are you using for Infographics marketing? Let us know in the comments. Of course, as an enthusiastic user of My Blog Guest, I’d be more likely to give that a whirl; however, the Twitter tool looks interesting too, not seen that before, but like the look of it. I keep hearing about and seeing the power of infographics; however, STILL haven’t gotten my back-side in gear and produced any. I’m venturing a little off topic in this reply, but I’m sure myself and others would benefit. This info rocks! – Even as an avid user of MBG, I didn’t know there was this level of resource. I have learned a lot from this post. I will see how I can use this information to promote contents I have created and build better relationship with my visitors. Ann, thanks for another great article and for the list of magazines that accept infographics! btw what is average approval rate? Thanks for the comment! The list has 24 magazines; we were able to get featured in 10 but were promoting a very specific one, so you can get better results with something trendy and well-designed! We haven’t also followed up with any, so we could probably score a couple of more if we did! thanks for the great post. There very useful tips in the article. I haven’t used LinkedIn for infographic marketing so far but I will after reading your post. I really liked the ways that are discussed in this article for infographics promotion. Infographics are basically a visual representation of data and information. Infographics present a complex information in a simple and concise manner. Infographics are a good way to explain something as people prefer images than text. After creating an infographic, businesses should plan for promoting their infographics. To get effective results, sharing your infographics on different social media platforms is a good idea. You can promote your infographics on Facebook, Twitter and LinkedIn for better results. This link provides step by step guide for promoting an infographic.